Sylvia Higginbotham, who spent her childhood in rural Jones County, Mississippi, is a professional writer and the executive director of the Columbus Arts Council. Additionally, she is a freelance travel writer who, for more than a decade, has written articles about places and people for more than 100 newspapers, magazines, and travel publications, including The Atlanta Journal and Constitution, The Dallas Morning News, The Christian Science Monitor, and many others. She co-wrote with Lisa Monti The Insiders Guide to Mississippi, whose first edition appeared in 1994. This travel guide tells what Mississippi has to offer in attractions, events, history, business and industry, restaurants, hotels, retirement, arts and culture, shopping, sports and recreation, and features in-depth overviews of the states different regions and interesting towns. Over the past few years, Higginbotham has written the chapters about Mississippi for fiften Fodors travel publications sold throughout the U.S.A., Canada, and the United Kingdom, including Fodors The South for 1993, 94, and 96; Fodors USA (two issues); Bed & Breakfast and Country Inns, The South (three editions); Fodors Great American Vacations for Travelers with Disabilities; and others. She also has written the scripts of award-winning videos for cities and towns. In 1997, she and Tom Hatcher co-wrote a play, Mississippi Music and Memories, as a Columbus Arts Council project. The play, a dinner theater, was performed to sold-out audiences throughout its six-night run. She also wrote two plays, in 1995 and 1996, for the Columbus Junior Auxiliarys popular Pilgrimage Pageant Ball, which is the major fundraiser for JAs charitable projects. 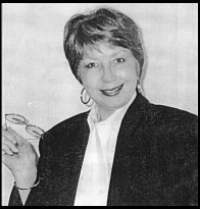 Higginbotham was awarded the 1994 Mississippi Governors Travel Media Award for Travel Writing, and she won a Governors Award for Tourism Achievement in 1986. Before she moved back to her native state in 1981, she worked for television stations and public relations firms in Shreveport and Lafayette, Louisiana. (with Tom Hatcher.) Mississippi Music and Memories. 1997. (with Lisa Monti.) The Insiders Guide to Mississippi. 1st edition. Gulfport, MS: Gulf Publishing Co. Inc. 1994. Marvelous Old Mansions and Other Southern Treasures. Winston-Salem, NC: John F. Blair, 2000. Reflections: Homes and History of Columbus, Mississippi. Photography by Mark Coffey. Columbus, MS: Eugene B. Imes, 2001. Grits & Greens & Mississippi Things. Columbus, MS: Parlance, 2002. Time Passages. Columbus, MS: Parlance, 2003. This page has been accessed 1872 times. About this page counter. Last Revised on Monday, November 9, 2015, at 04:35:11 PM CST .